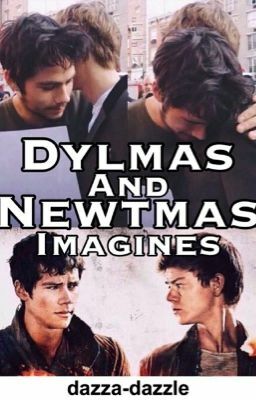 This is a book of Newtmas Imagines (Glade and AU) with The Gladers as occasional guest stars. If you are wanting preferences for the main characters of The Maze Runner, please see my preferences book, and if you are looking for actor imagines, visit my celebrity imagines book :) Please note I do not own any of the characters or canon events from the series, they belong to James Dashner, the author of The Maze Runner trilogy. Also if you haven't already guessed, this will be boyxboy. All imagines will have a happy ending. Please excuse the quality of the first half of the book, my writing has improved in the latter chapters. © Wattpad User: DazzaDazzleDaz 2015. All Rights Reserved. No part of this story may be reproduced, distributed, copied, modified, communicated to the public or adapted in anyway or in any form, including photocopying, recording, or other electronic or mechanical methods without written proof of prior consent from the author of the publication, except in the form of brief quotations in critical reviews and other non commercial uses permitted under the copyright law.